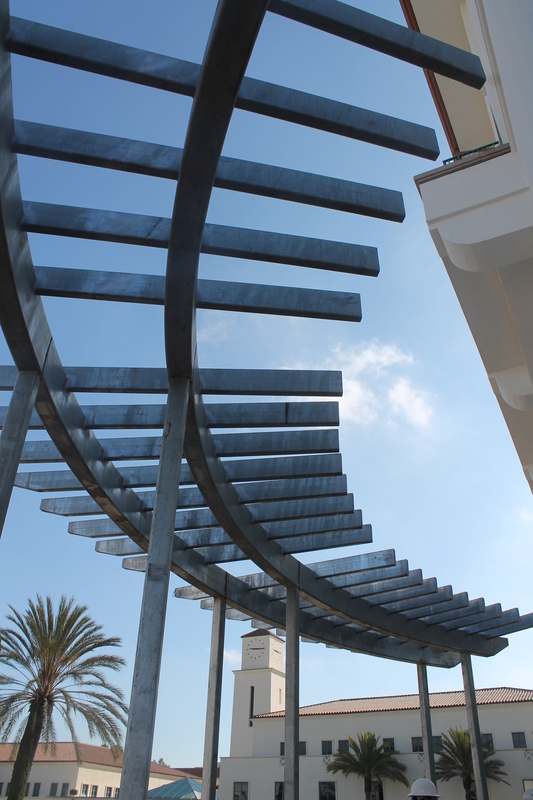 Located just outside the future Starbucks near Manchester Hall, the overhead trellis has been nicknamed the “vicious circle” because of its shape that resembles jagged teeth. 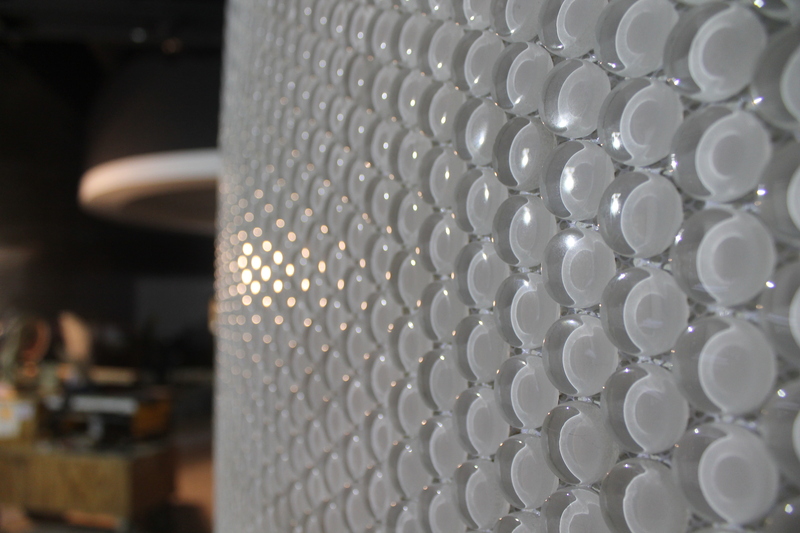 It may look like bubble wrap, but that’s actually tile that is installed along a curved wall in Aztec Lanes. 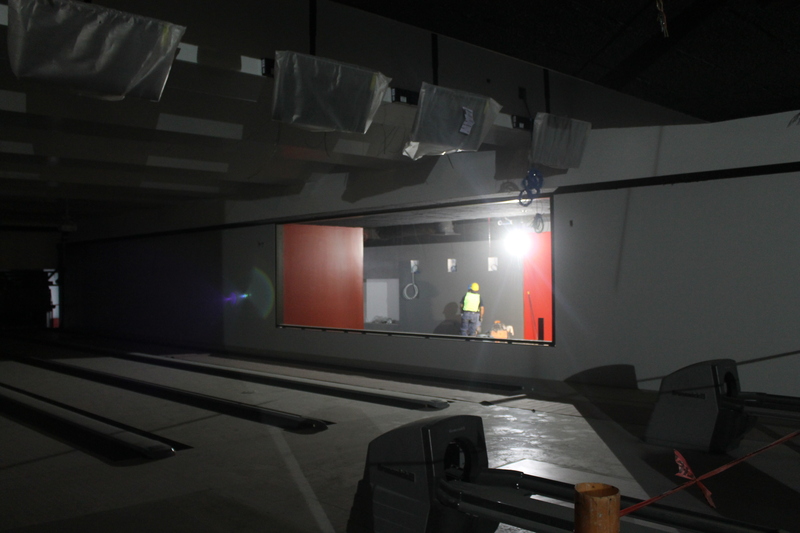 The red accent wall highlights the window between table games and the lanes in Aztec Lanes. 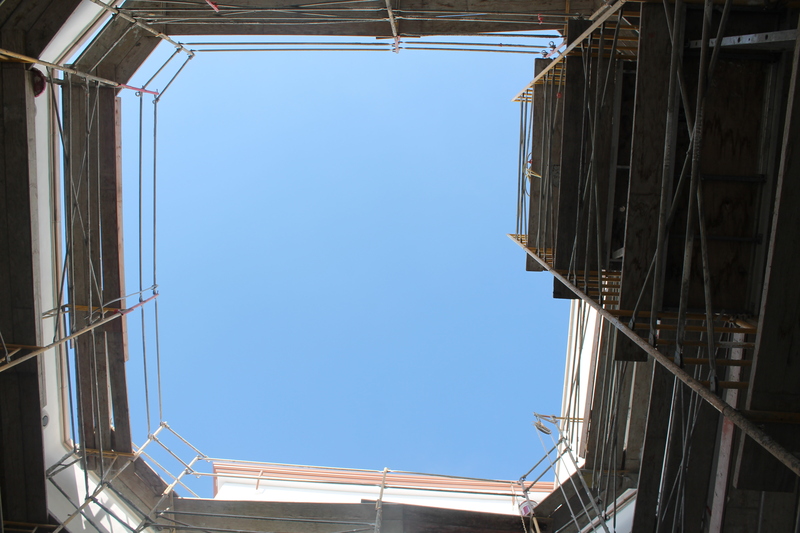 An upward view of the small courtyard located just off the pedestrian bridge — one of the few places that still host scaffolding on site. 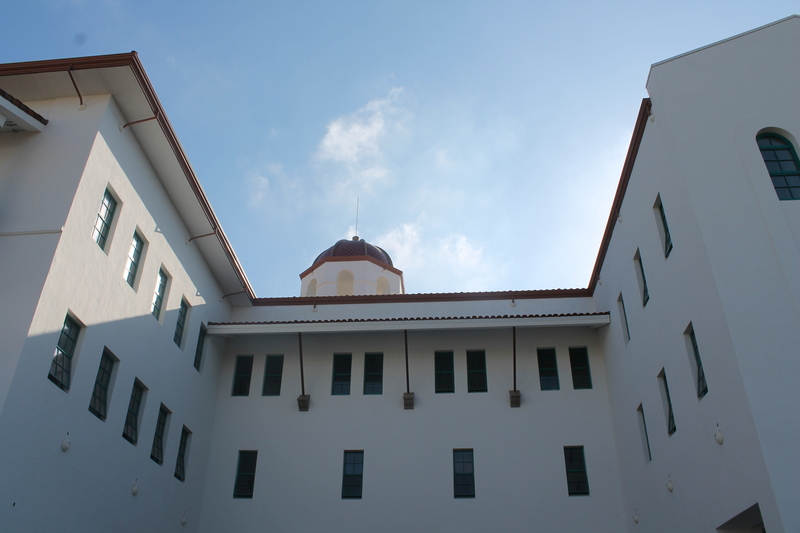 The dome peeks over the west side of the building that surrounds the cafe courtyard. 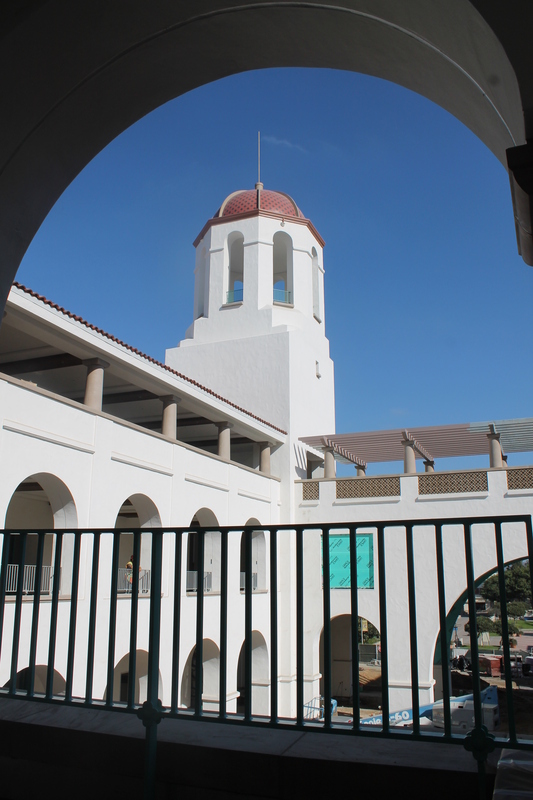 A view of the tower from a second-floor arcade (AKA outdoor walkway).